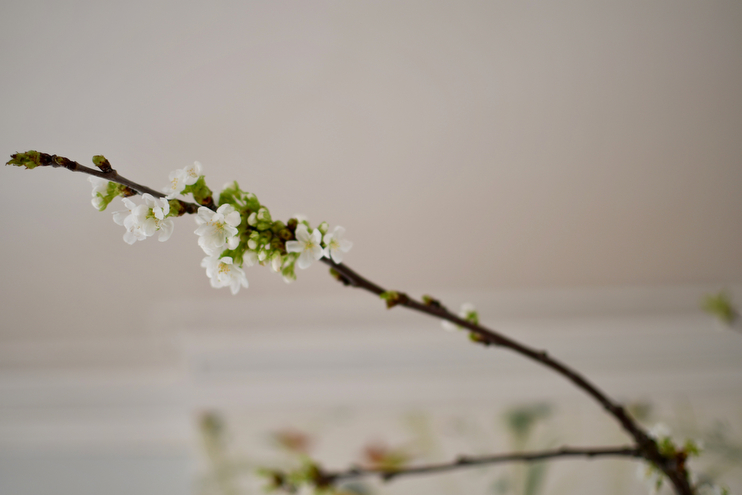 Spring Equinox & I’m Writing a Book! 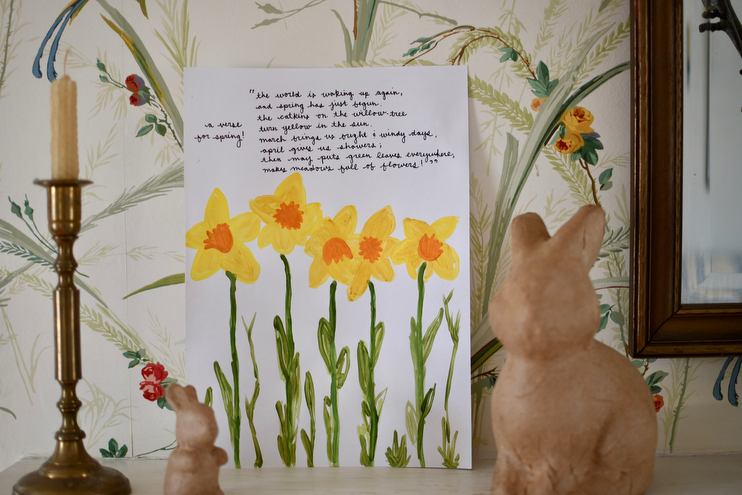 Happy Spring Equinox dear Homesong readers, I hope this day welcomes you with fresh energy and a bit of pep in your step! I woke up with all three kids in our bed with me sandwiched in the middle, which was not entirely refreshing, BUT the days are long and the years are short. I actually love waking up with our kids, and even though they don’t always start out in our bed, we welcome them in when they need it. And I didn’t get elbowed in the eye this time, so that’s all well and good! Andrew is away traveling, and honestly we all really enjoy the comfort of one another at night when he’s not home. And this morning we woke to birdies singing and spring at our door! If you’re in the Northeast getting pummeled with snow and flurries, take heart. Spring is under there patiently waiting to sprout up and grace you with green, I promise. While getting the kids ready for school I noticed that the grass was a bit brighter and our tiger lily bulbs were beginning to peek through the mud. What joy! It’s always so refreshing to see glimmers of each new season slipping in, even if ever so slightly. It reminded me that some of my favorite things are not too far off now, like getting our garden started, going family bike rides, cutting fresh flowers, and eating supper outdoors. I was going to write to you yesterday, in fact I did a little bit, but the rain made me turn to other things instead. So I closed my computer and left this note for today. I am immensely affected by the weather and by sense of place, and even more so when I am writing or engaged in something creative. Do you feel that way too? Sometimes I wish I could just create all the time no matter my surroundings or what Mother Nature has decided to deliver that day, but I suppose there’s indeed a lot of goodness and vitality to be found when one tends to mimic the rhythms of nature and the energy of the spaces they live in like I do. But today, today is SPRING! The equinox is here, I feel it pulsing and I can think of no better day that today to share with you a bit more about a very special project I have been working on: I am writing a book! Yes, yes, a B-O-O-K! It’s surreal to type those four precious words here in real life, because so far they’ve really only been alive in my mind, but a book on the horizon and it’s why I’ve been a bit MIA here. The writing journey I’ve been on has been quite a journey to say the least. The entire process both backwards and forwards has been a long, fun, and sometimes arduous one, and while it’s far from over, there’s a bit of light at the end of the tunnel. I just spoke with my editors this morning, and we are a-rockin’ and a-rollin’! Looking back, I can say with certainly these past two years have been some one of the most inspiring ones I’ve ever lived. And I want to share it all with you right now! Like all of it! That’s been one of the hardest parts of this journey for me, because I really love giving you all encouragement, ideas, tips, rhythms, and life-giving odds and ends to make your days more enjoyable and meaningful at home. In time, Amanda, in time. Not too far off, each one of you will be able to hold this little beaut in your hands, thumb through it in your favorite chair, have it in your homes next to flowers, and use it to connect with yourself, with others, and with the earth in many simple, seasonal, mindful ways. I cannot wait to give you more bits and pieces of all it entails as the year unfolds. So where am I now? Well, I am currently waste-deep in the editing phase of my work. It’s uncomfortable and wonderful all at once, kind of like standing in murky waste-deep water. And here’s an interesting thing about the book writing process that has completely taken me by surprise: it takes you where it wants to. At least that’s been my experience thus far. You see, I started out writing this book, and a lovely one at that, but over time and research and a lot of time just sitting and listening to the whisperings of my soul, it has evolved and twisted and turned and unfold and folded again into entirely something new. I did not expect this! But maybe, just maybe, that’s what the writing process is all about. I set out writing about simple facets of the home, a mere extension of this here online space, but something deep down, a feeling embedded in my being, kept gnawing at me as I wrote…and here I am today, pretty exhausted but crazy happy with a new piece of writing in the works, set to come out early next spring. You can expect a lot about rhythm, intention, and meaningful connection. You can look forward to a blend of both practical and beautiful, and all things home as we tread mindfully through the seasons. It will be an invitation to live a life that gives YOU and your family purpose and belonging, and it’s my soul in a song. It is being published by the lovely Harper Collins and will be available in so many countries! Again, so strange to be tying these words, but I am so humbled to be standing where I am today, and even more humbled to share my heart stirrings with you. I’ll be giving you all my future book updates here, along with dozens of posts I’ve been working on in the background. Anyone else start a post and archive it? Yeah, that’s me for like that past three months or so. Alas, cheers to a new season! To a new book! To just being alive today, and being able to make things, plant seeds, watch babies grow, get muddy, chop vegetables, and listen to the birds. 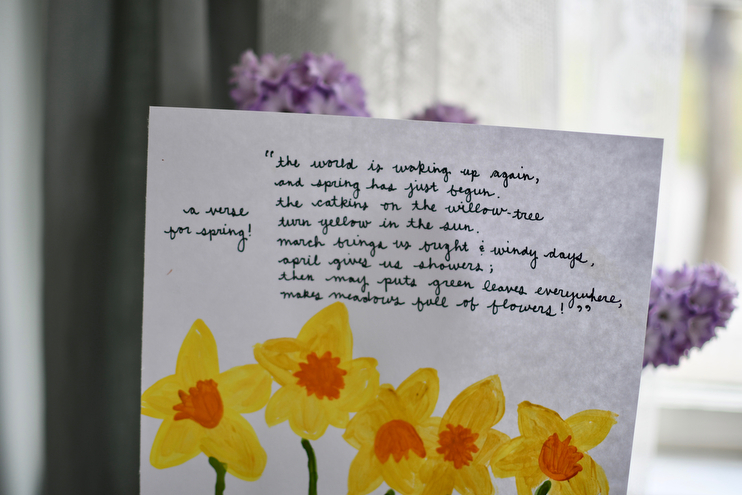 And below is the verse I jotted down yesterday afternoon from this book while the kids and I painted. It’s the first part of a poem called “Seasons” and is a perfect length for morning circle or while crafting with little ones. Stella is going to use it during her afternoon lesson to practice writing sentences, and will work on memorizing it this season! turn yellow in the sun. You and your thoughts and images here have been such an inspiration to me and my home life, along with a few other beloved resources. I’m so grateful that you are inspired to share your gifts with us and I’m truly excited for your book and your writing/self-discovery journey! I’m loving How to Raise a Wild Child, even though I’m still in the first chapter. I looked up the Rachel Carson piece he mentioned and I think I’m going to pass it out to my Waldorf Parent Child class this spring; I love it so much. Sending you love and a big hug from San Clemente.